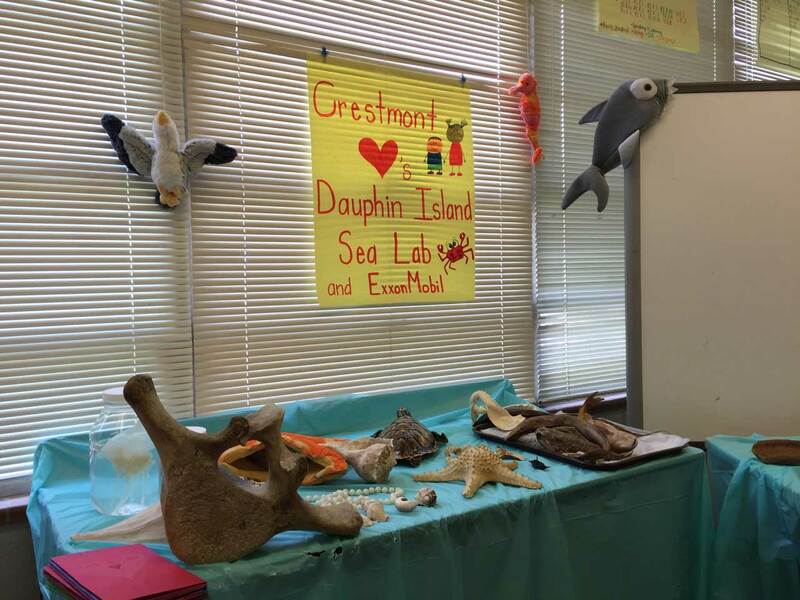 The BayMobile is the Dauphin Island Sea Lab’s traveling marine science classroom. 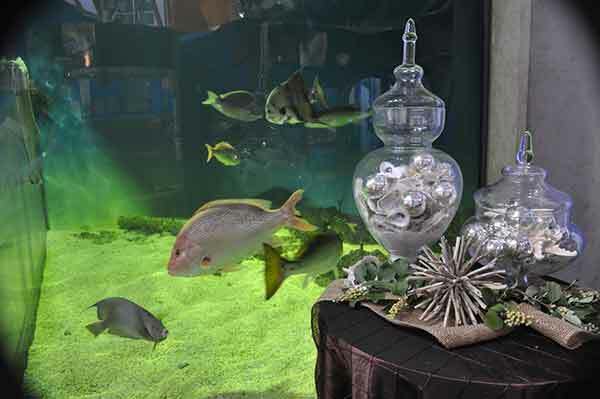 It is operated by Discovery Hall Programs, the Sea Lab’s education and outreach group. 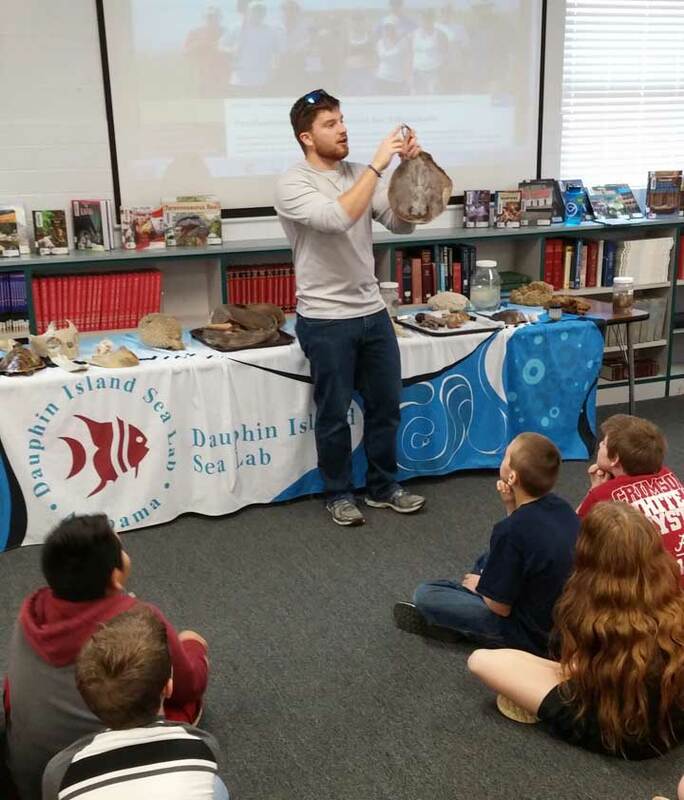 Funded in part by ExxonMobil, the BayMobile travels to Title 1 schools throughout the state of Alabama teaching Alabama’s K-12 students about the ocean and its inhabitants. 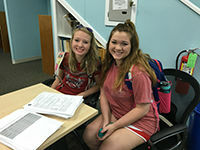 Many of these students will not have the opportunity to come to the Sea Lab and hold a live croaker or butterfly ray or see and smell a salt marsh in person, so a BayMobile visit often represents their only chance to see, touch and experience Alabama’s coastal inhabitants. 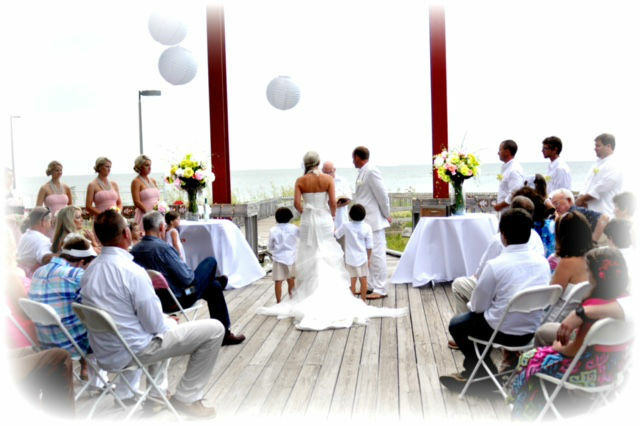 As you can see from the picture – they are very appreciative! In 2016, the BayMobile visited 34 schools and almost 9,000 students from 15 Alabama counties. 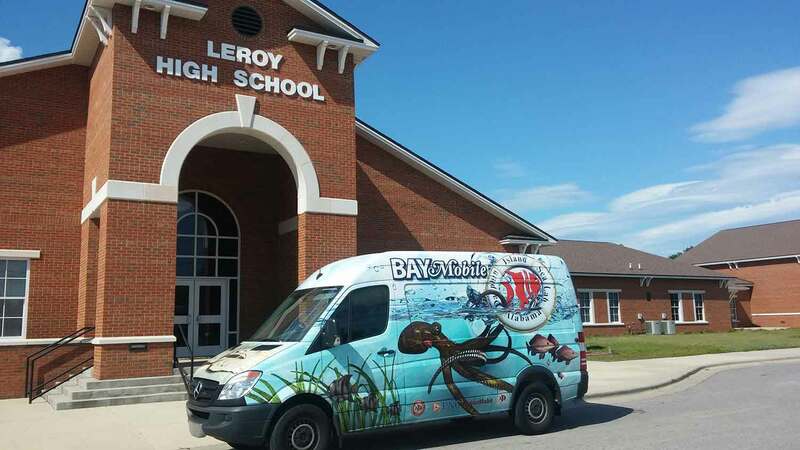 Since January of 2009, the BayMobile program has visited every county in the state and shared information about Alabama’s coastal flora and fauna and its ecosystems with approximately 95,000 K-12 students at more than 350 schools. Most recently, DHP Educator Jenny Cook took the BayMobile to Tallapoosa County and visited Jim Pearson Elementary. You can read more about her visit in the Alexander City Outlook. 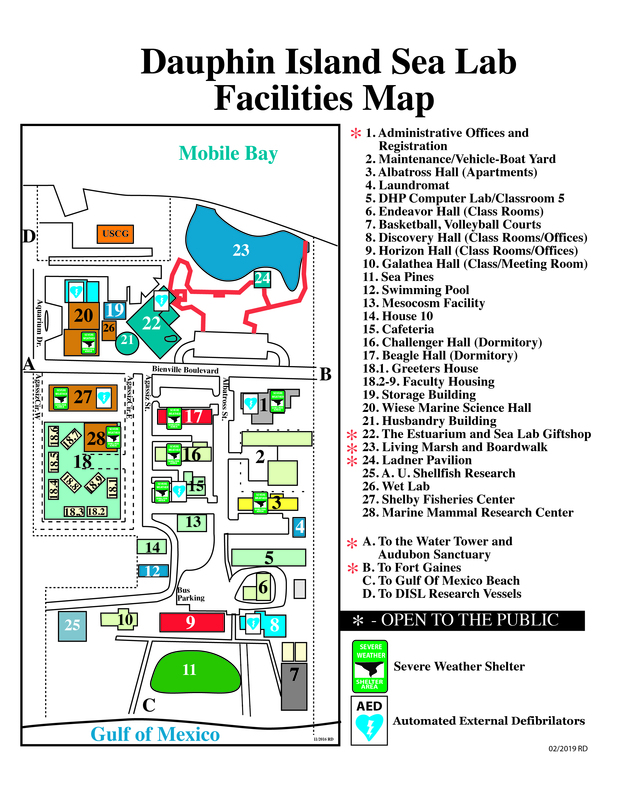 The BayMobile also travels to the many environmental festivals and events in the Gulf Coast area such as Celebrate the Gulf, Delta Woods and Waters, Ocean Commotion, ShrimpFest, the Alabama BirdFest and most recently, CreekFest in Mobile. In 2016, the BayMobile was present at 24 separate events and reached out to approximately 16,000 people. Our current vehicle was purchased through a donation from the PNC Foundation in 2014. Between the school visits and festivals, that’s a lot of rubber on the road! So much so that we recently bought a whole new set of tires – we hope to be seeing you soon!